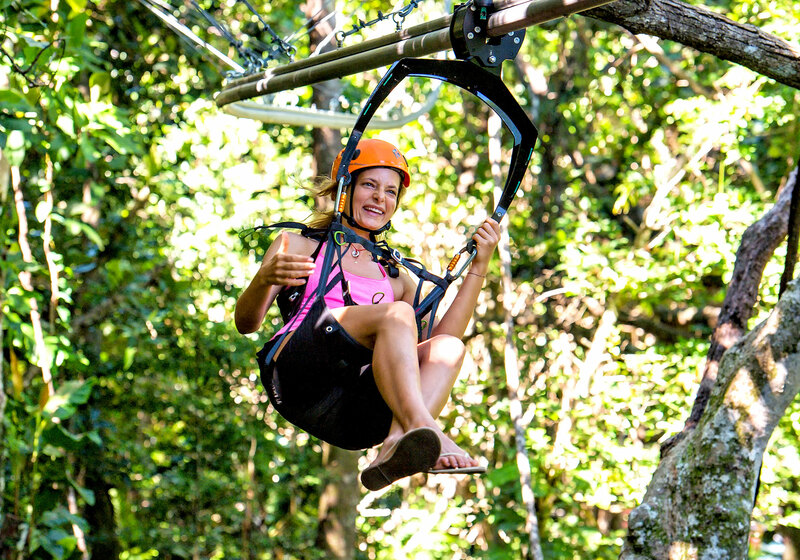 Kula’s Krazy Canopy Flier is a thrilling zip down a roller-coaster rail that descends from the forest canopy, flies around tree and twists and turns until it reaches the river bed as you swoop in to a soft landing at the valley floor. This is no ordinary zip line! 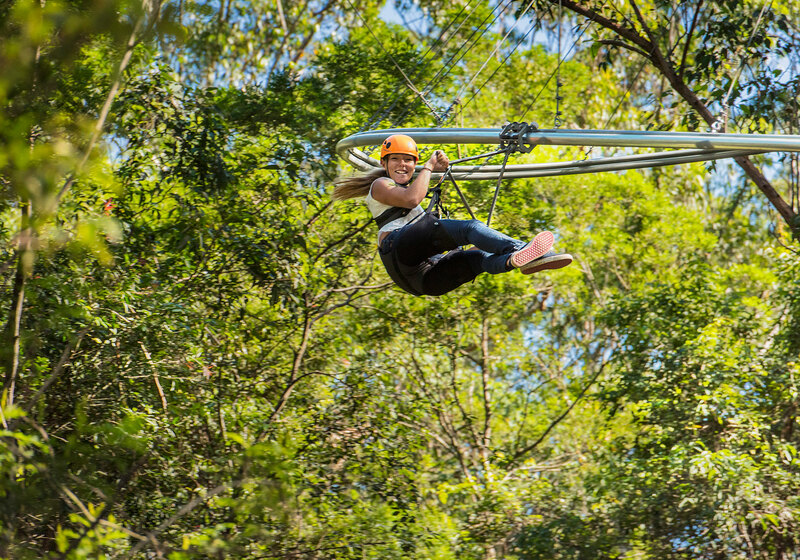 The patented system can actually turn a full 360 degrees, giving you a ‘G’ force enhanced thrill as you fly through the tree tops. 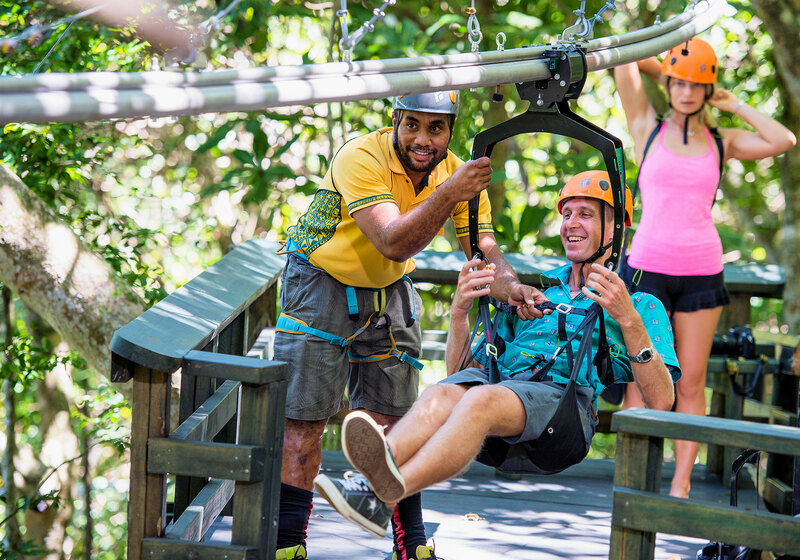 It’s a Fiji exclusive and you can only ride it at Kula WILD Adventure Park. 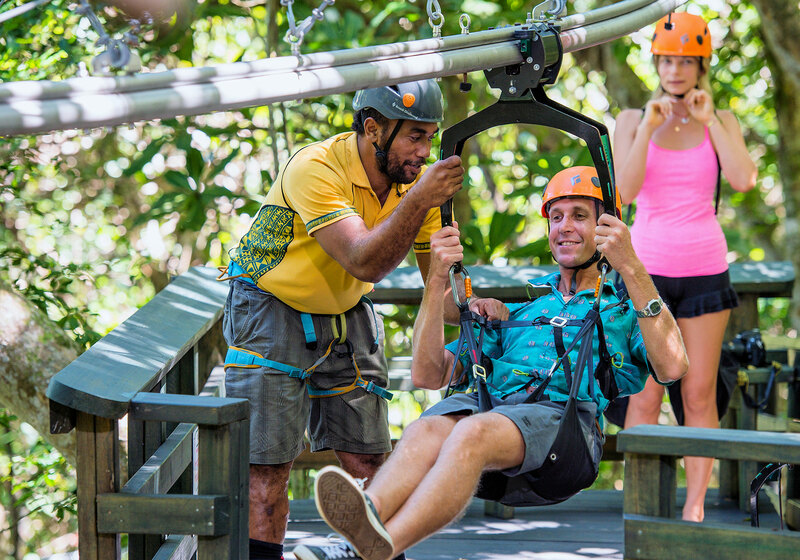 Kula’s Krazy Canopy Flier is an optional extra and operates 7 days a week except in rain and high winds.